Just when you think you’ve seen everything; something new comes out of nowhere. People will just continue to believe all the wrong things no matter how hard you try to tell them otherwise. 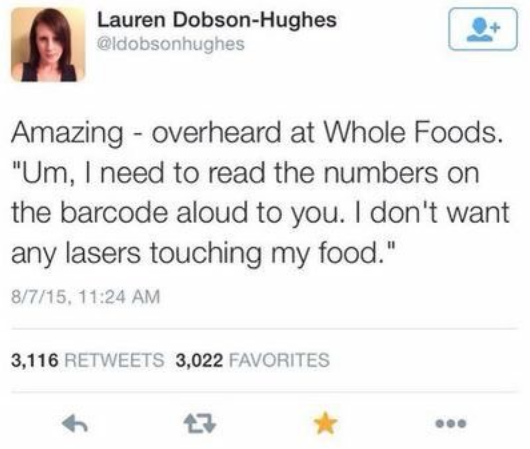 As if all the anti-vaxxers with their fascinating beliefs and concepts were not enough that now we have to see people who think laser from barcode scanners cause radiation poisoning. Though it’s hilarious, it’s equally ridiculous too. 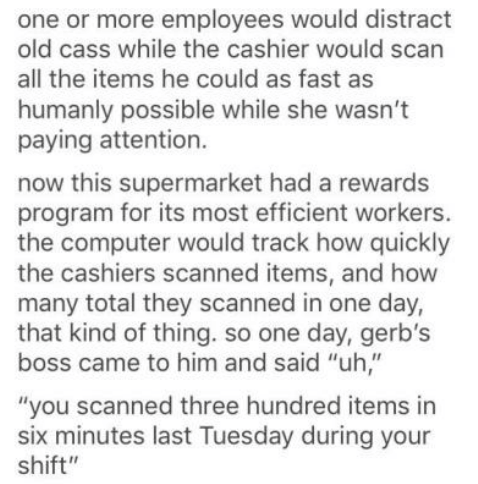 You see, it all started when one Twitter user tweeted about a conversation she overheard at the grocery store about how a customer didn’t want the “laser touching” her food. Her tweet inspired other people to share their similar experiences and stories. 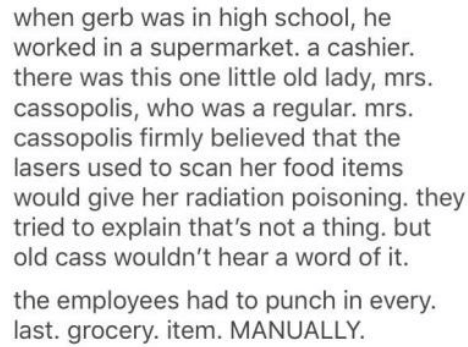 So, one Tumblr user decided to share a story that and we can guarantee will make you laugh! So let’s just get right to it. Here’s the tweet by Lauren that resulted in the following story being shared. Now, that requires some serious amount of effort. Entering so many items manually is exhausting for anybody. 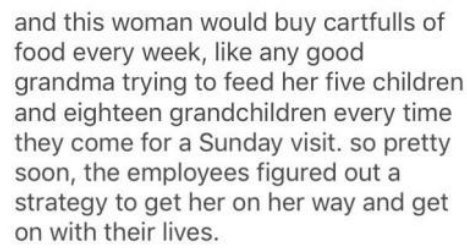 Here’s the twist; they had an excellent plan. 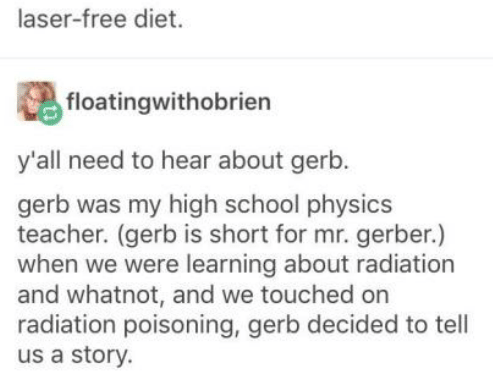 YOU ROCK MR GERBER! What an awesome man. 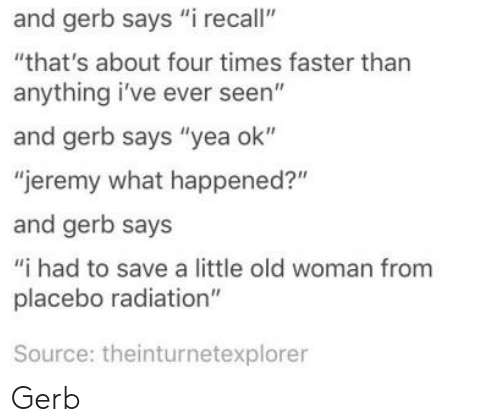 Did you enjoy this story just as much as we did? Comment in the box below and share your thoughts with us! 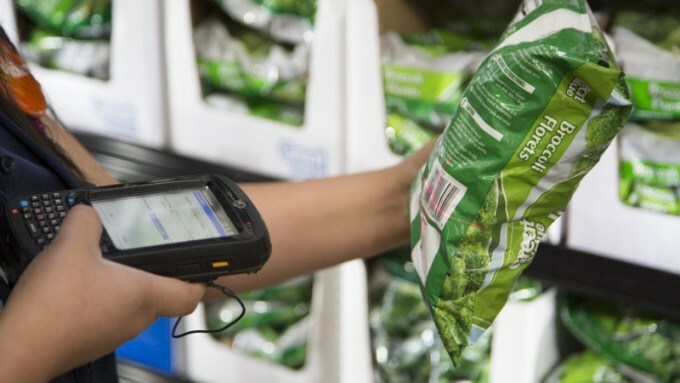 Note: laser from scanners do NOT cause any harm to your grocery items people!